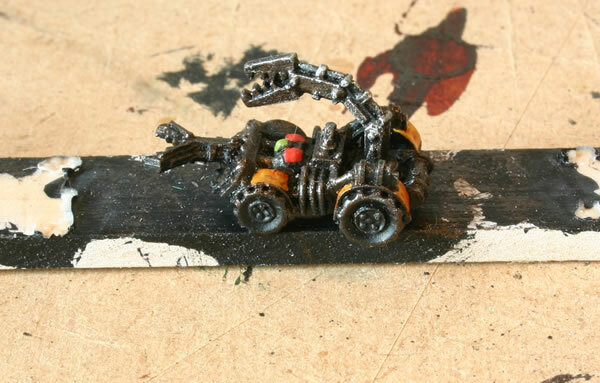 I have often used the gunners from Ork Buggies in many conversions. 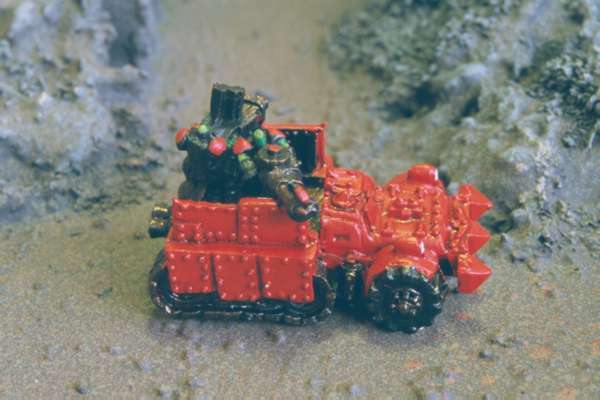 This is an Ork Flagwagon with Gunners. One conversion I started was based on the vehicles from Jurassic Park II which were used to capture dinosaurs. I saw these vehicles as squig capturing buggies, the squigs would then be used either in small packs, to grow into Squiggoths or for food. The conversion used the arm from an Ork Dreadnought which was snipped off to make a Killa Kan.